Ahhh, the weekend is almost here. Another few hours and we can all breathe easier and relaxing knowing that the outdoors awaits our presence. This weekend should have plenty to offer for most, it is fall after all and there's plenty going on if you know where to look. 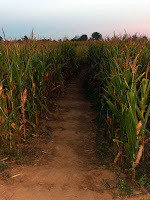 Trails abound with color, and I'm sure there are plenty of Corn Fields that have mazes carved into them that you can try out. 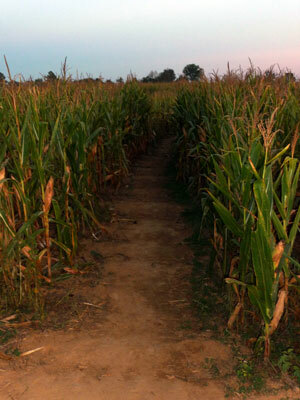 Just don't end up lost like the one couple we've heard about this past week (Thanks Dave for the heads up on that one. I agree with one blog I've read on that one, the dad has lost his man card permanently). We will likely be heading up to our favorite little town of Rogersville, TN for their Heritage Days festival at some point. We also have some fall portraits to make of Ashby and possibly our other rugrat, Jodi, not to mention some maternity portraits of Robin and the babe. So we hope you all get out and enjoy the weather and the colors. Until then, here are the latest, spectacular giveaways in the outdoor blogosphere this week. Who likes jerky? Well if you raised your hand, then head over to Tom Mangan's blog, Two Heel Drive, and let him know your most craziest, scariest, hardest, etc hike. If you are lucky, your tale of heroic proportions will be chosen as tops and you will be rewarded with a nice gift pack of Beef Jerky and a really neat box the package comes in. You better hurry and get those stories commented in, Tom doesn't have a deadline, but he won't leave it open for forever. Everyone loves backpacks right? Without them, we can't take our essential gear into the woods with us. Well if you are a poet and didn't know it, head over to Philip Werner's Section Hiker blog and leave a Haiku in the comments section for your chance to win an Osprey Mutant 38 backpack. Philip reviewed this pack just the other day and you'll be certain to fall in love with this pack, especially if you win it. So head on over and leave that 5, 7, 5 and hope it's the choicest haiku FTW. Getting back to the food thing, The Hiking Lady has teamed up with Cliff Bar to give away a few Cliff Bar prize packs. Talk about fueling your adventures and/or study breaks, these packs come with tasty Cliff Bars, a Frisbee, and a water bottle. I can't think of a better way to put off studying and/or work. Head on over to The Hiking Lady's blog and find out how to get entered for one of these packs. That's all the latest giveaways, but don't forget about the others that are still on going. 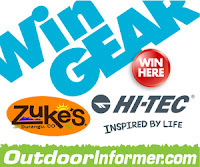 Outdoor Informer has the Hi-Tec jackets and Zuke's Dog Treat package. You can enter once a day for your chance at that awesome prize pack. PAHikes.com has it's monthly drawing you can still get in on. This month they are giving away a Lexan Java Press Coffee Maker. So that's all we have this week in the FGR. Be sure to get entered for that gear and remember, the outdoors is calling and waiting. Have a great weekend everyone.